This Lowry is one the highlights of the collection. Image courtesy Government Art Collection. We've ducked into a side street just off Tottenham Court Road to head into an art collection few people know about. It's not a secret stash of works belonging to a faceless Russian oligarch, but is in fact a collection that belongs to all of us — the Government Art Collection. It's free to visit but only by guided tours in small groups. Ours had 16 people in total and was conveniently held at lunch time — an added bonus for anyone working nearby. It starts with a look at the temporary exhibition on display, before we delve into the history of the collection itself. There's usually a temporary exhibition on and that's where our tour starts. Our guide works at the collection and fills us in on how the Government probably started purchasing works of art around Georgian times, to cover up damaged walls. 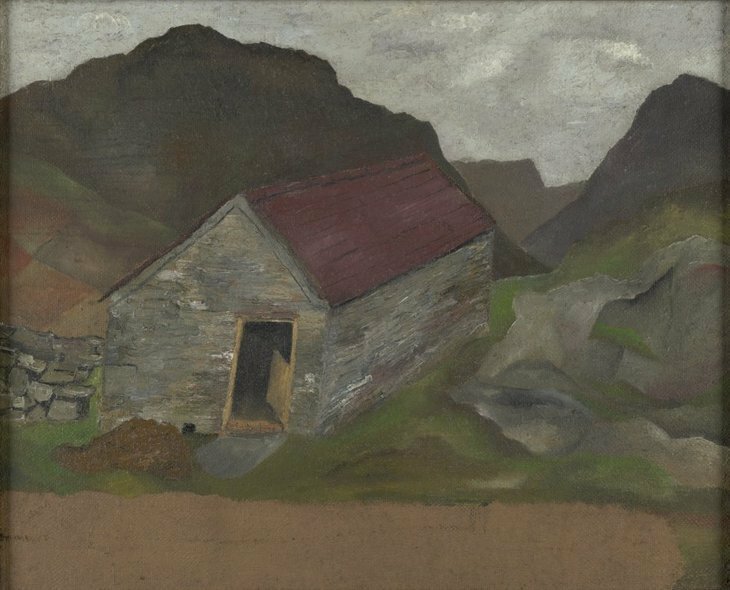 From these humble beginnings, the collection was formalised just over a hundred years ago and the Government Art Collection now holds over 13,500 works. 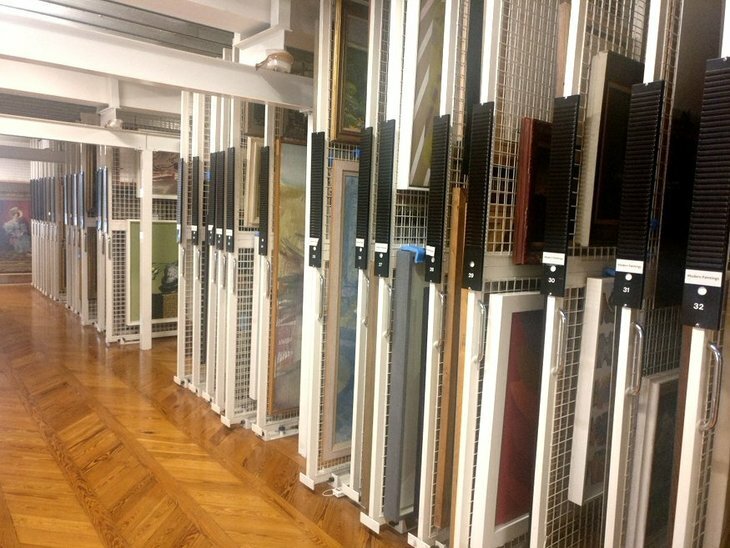 Originally it was just about filling the buildings in Whitehall, but now the collection sends work to be hung in British embassies across the world. 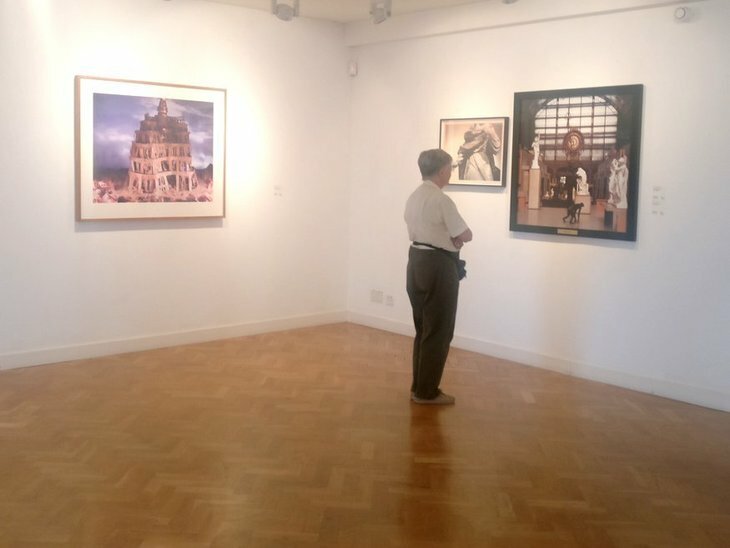 The idea is to showcase British culture abroad, so all the works tend to be either by British artists, created in Britain or have this country as the subject matter. It's not only our nation that displays such arty patriotism; we saw much the same when we had a tour round Canada House. Managing the collection is a logistical challenge and here's where they get the works ready for transport. The department has a purchasing budget of around £300,000 a year and the directors of Tate, National Gallery and National Portrait Gallery all sit on the advisory committee — but before you start worrying about how much taxpayer money goes to these big hitters, you'll be glad to know the only payment they get is tea and biscuits. 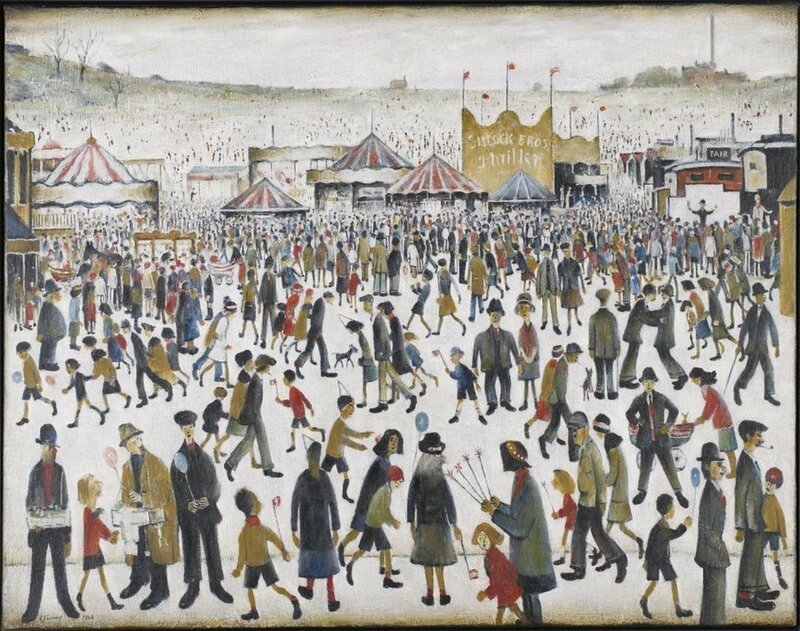 The most famous works in the collection are paintings by LS Lowry, where his trademark stick figures enjoy a Lancashire fair and watch the coronation processions of our current Queen; the collection also has an early Lucian Freud from before he became a world-renowned portrait painter. An early Lucian Freud, from before he became an international art star. Image courtesy Government Art Collection. Only a small proportion of the art is stored on site, as many pieces are out at the various Government buildings and embassies — plus every time there is a change in office, the new head honcho gets to choose what art they want on display. The logistics of this are tricky to manage — it's a little easier for ambassadors who tend to work to four-year cycles, but when it comes to ministerial reshuffles, the Collection only gets as much warning as the general public. Also, any new country forming will require a British embassy to be kitted out with art too. We love the idea of flicking through the collection and picking which works to decorate our office with (the whole list is here in case you want to indulge in the same fantasy — it's a bit like planning what you'd do if you won the lottery). 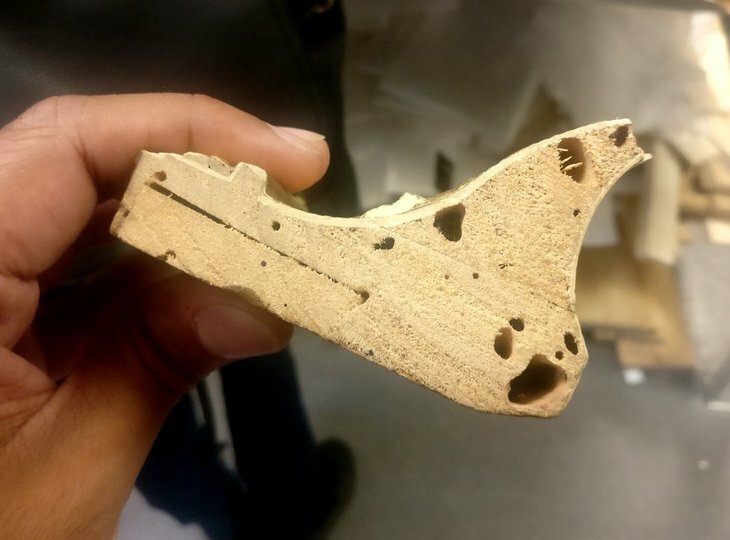 Here's the damage insects can do to a wooden frame. There is some semblance of a pecking order between countries but it's largely down to logistics. Arranging fine art transport to France is a lot easier than to the Falkland Islands. Climate is another big factor as humid locations may lead to insects munching away at wooden frames. We saw first hand how much damage these little blighters can do. Physical danger is part of the risk; many works were lost when the Libyan embassy was burnt down and the Iranian one raided, including some 17th century landscapes from the latter. Syria was the most recent evacuation, but it was known that an evacuation was going to happen so the works were safely removed beforehand. We can't leave before having a browse through the many works held here. All this leads up to a chance for us to see the main storage area where hundreds of artworks are held on art racks. 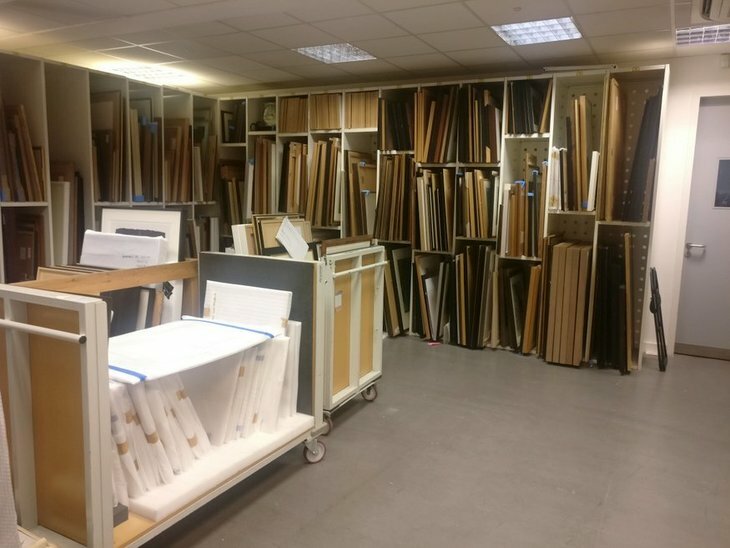 It's like thumbing through a very expensive catalogue as we go for a browse of everything from traditional oil paintings of landscapes through to contemporary abstract works. The tour takes about an hour and it's a great opportunity to see some fantastic art and learn about the tricky job of managing such a vast and dynamic collection. The Government Art Collection is located at Queen's Yard, 179a Tottenham Court Road, W1T 7PA. Visits are free but by guided tour only. The website is undergoing some maintenance but new tour dates for 2018 should be up in February.